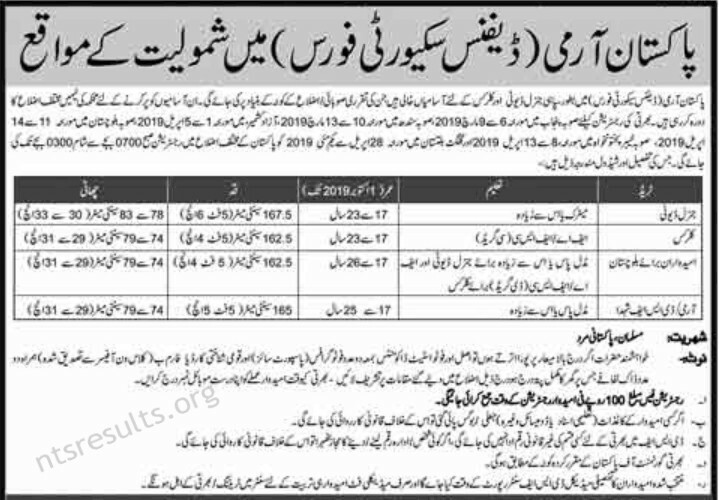 Defence Security Force DSF Jobs March 2019 has been announce. Last date to apply is Sunday, 14th April, 2019. The Pakistan Army is the principle land warfare uniformed service branch of the Pakistan Armed Forces. It came into its modern existence from the British Indian Army that ceased to exist following the partition of British India that resulted in the parliamentary act that established the independence of Pakistan from the United Kingdom on 14 August of 1947. According to the estimation provided by the International Institute for Strategic Studies (IISS) in 2017, the Pakistan Army has approximately 500,000 active duty personnel, supported by the Army Reserve and the Army National Guard. In Pakistan, the age of military enlistment is 17–23 years of age for voluntary military service; soldiers cannot be deployed for combat until age 18 according to its nation’s constitution. Applications are invited from Pakistan National to join Defence Security Force. All those candidates who have the require qualification and skills and are eligible for the Defence Security Force DSF Jobs March 2019 must apply to grab this golden opportunity. 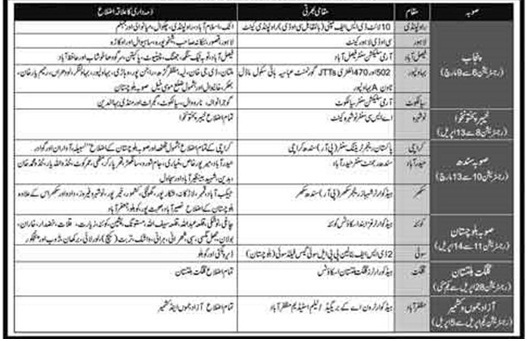 Applying procedure as well as other requirements for the jobs in DSF Jobs Pakistan Army are mention below. How to Apply For Pakistan Army Defence Security Force DSF Jobs March 2019 ? Registration fees is Rupees 100 per candidates. Recruitment will be according to rules of Government of Pakistan. Complete medical of the selected candidates will be taken. Only those candidates will do training who are medically fit. Last date to apply is different for every Province. d s f pak army c o d in lahore me written test 27 march ko ho gia tha ab kb tk result ka pata chale ga.